Hey! I made some modifications as you guys suggested, thanks very much! 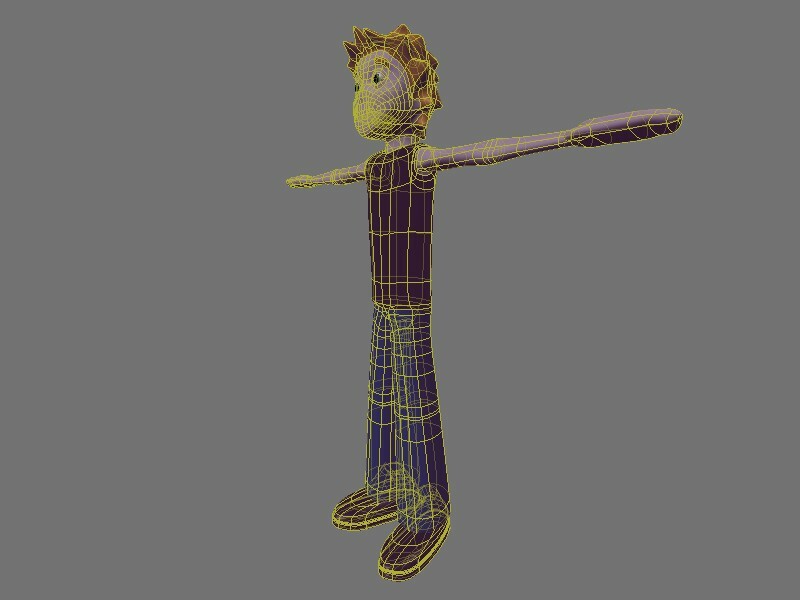 And here’s the mesh too, how does it look as far as how well I’ll be able to animate him? It looks pretty good. I think his pants are a bit too shiny. Anyway, it looks good! 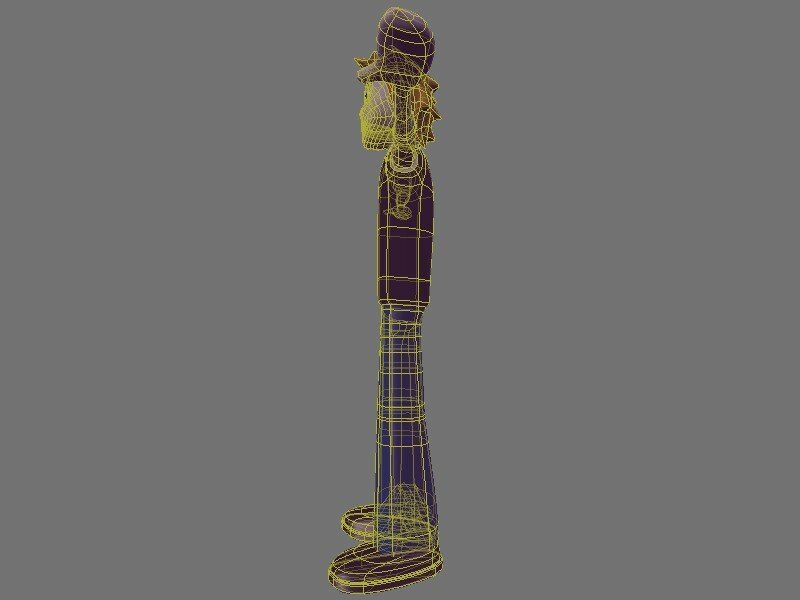 Welcome to BlenderArtists. 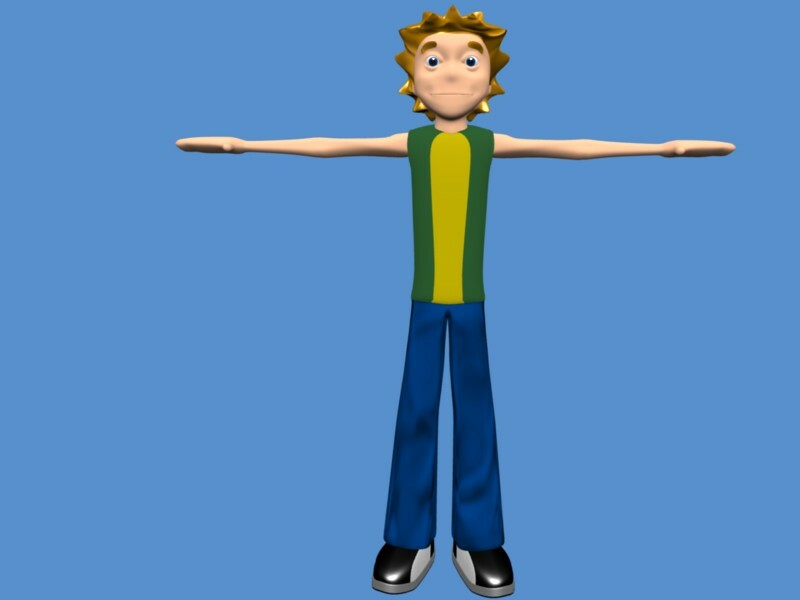 I think his arms might be a bit short, and the shirt looks incomplete without any sleeves, although that might be a costuming decision. I like the hair and the face. I suspect he may look a little flat from the side view. Can’t give you any comments about the animatability, would need to see the mesh for that. A screenshot in wire draw mode would help. As Orinoco said one cant judge the animatability or so without seeing wires. But i can say that the pants look plastic to me. try some very low spec with hardness around 5-12. Try it on all the cloth. I think he should have a more defined elbow area, and the elbows should be further out, making the upper and forearm about the same size. 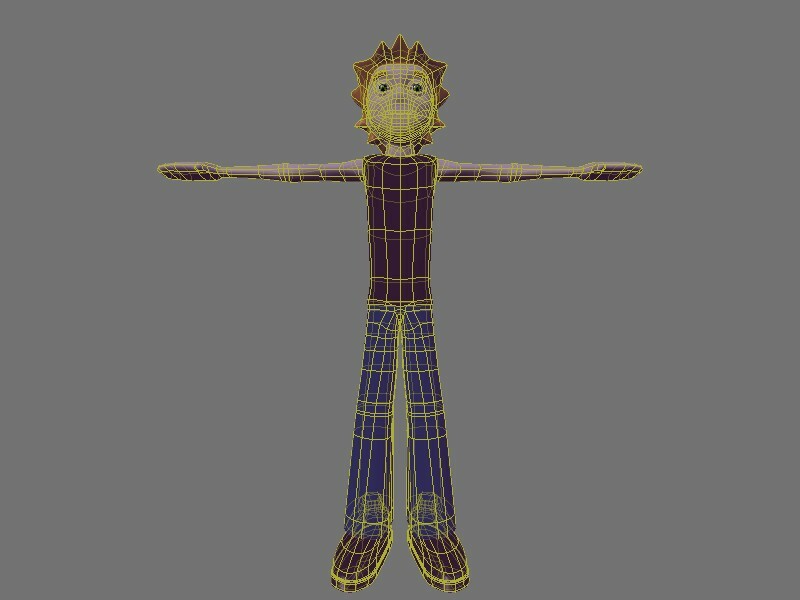 particularly the shoulders are going to help him be easier to animate/deform better.